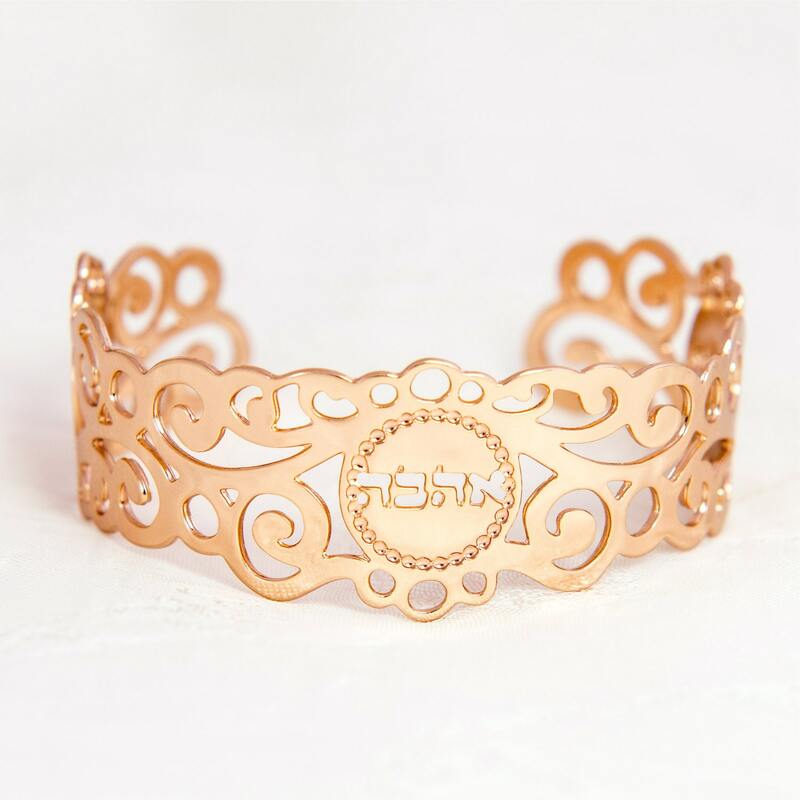 This rose gold cuff is also available in gold. Thank you for looking at my rose gold bracelet! I also make other judaica jewelry in my shop, and I'd love for you to stop by and check out the other cuffs and the rest of the jewelry sometime.